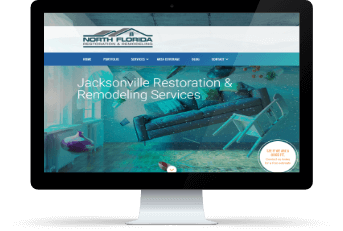 North Florida Restoration required a new custom website for their growing business. Rather than going with a typical layout, we designed a homepage that is extremely easy to navigate while also promoting the user to scroll. With our research and the customer's input we learned that the target audience is interested in seeing pictures, then learning about the services. With that, we made sure the portfolio was easily accessible and provided big visual images.